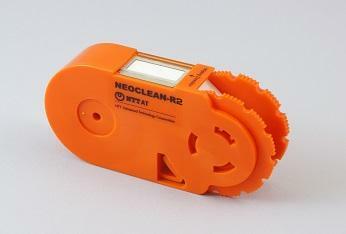 The new attachment of NEOCLEAN-E3 is available now! NEOCLEAN®-M2 Pen Type Cleaner NEW PRODUCT!! 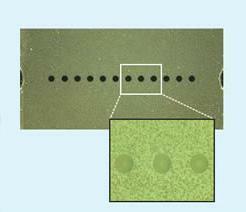 Many troubles in optical communications equipment are caused by contamination on the optical connector end face. NEOCLEAN-M series, the MPO/MTP connector cleaners, employ microfibers designed specifically for optical connectors to remove even the smallest contamination not visible to the naked eye. Please take advantage of the improvements you will receive in optical construction working efficiency and in communication services reliability. 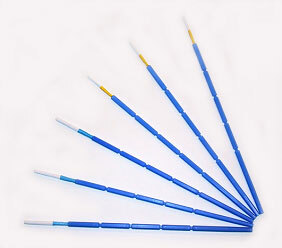 MPO connectors of 1 row with 12 core and 2 rows with 24 core are common, and the MPO-16 expanded to 1 row with 16 care has been introduced, and so the importance of cleaning is also increasing. The NEOCLEAN-M for 12-core systems and the NEOCLEAN-M2 for 16-core systems respond to the need for endface cleaning. The specially designed microfibers remove contaminants by an easy push operation without damaging the delicate optical fiber core. Brings you the possibility of over 600 cleanings in a very portable compact design that excels in workability. 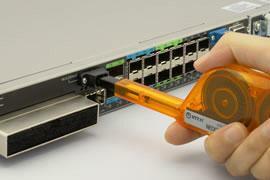 In addition of optical port adaptors, attaching the cap (included) allows you to also easily clean plugs too. One simple push action cleans optical connector ferrule end face. 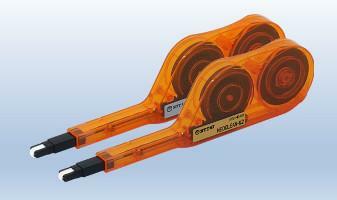 Especially compact body designed for cleaning in the narrow spaces of optical connector ports. Fixing the attachment to the rear end allows you to also clean the deep recessed optical ports. 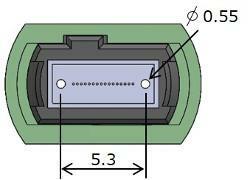 Simply remove the front tip cap to enable optical plug cleaning. NEOCLEAN-EZv cleans the φ2-mm optical connector in the hybrid electrical and fiber-optic connector for the broadcast cameras.The new “NEOCLEAN-EZv” is developed exclusively for broadcasting and video connectors, which allows an easy cleaning without troublesome work such as attaching and detaching the split sleeve inside the connector. The "NEOCLEAN-EZ3" can clean 2.5mm optical connector ports with its main body, and clean plugs by using the included blue attachment. Furthermore, if you attach the red attachment you can also clean 2mm video connectors. 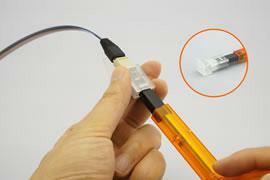 The EZ1Plus can clean 1.25mm optical connector ports and ODC plugs using the main body. In addition, you can clean plugs and ODC sockets by installing the included green attachment. *2 Tested Hybrid Connector LEMO SMPTE 304M connector, Tajimi OPS / OPC series, Canare OC series, FC series. 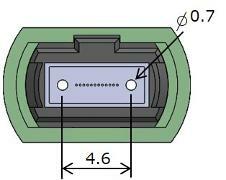 For other type of connectors, please contact us. Simple one push action cleans ferrule end face in device adaptors. The cleaning cartridge is replaceable, with each cartridge performing about 750 cleanings, greatly reducing cleaning costs. Using the attached cap you can also clean ferrule end face in plugs. Optical Connector Cleaner NEOCLEAN® wipes away contaminants from optical connector end face with ease. Just as with our previous products, the cleaning tape does not produce dust, and provides special cleaning strength while resisting foreign particles to mix into the tape. The main body also is made from anti-static material. The tape advance mechanism has been simplified, reducing the number of assembly parts to a minimum resulting in cost reductions for both manufacturing and assembly. The NEOCLEAN® stick is made with antistatic materials enabling it to control the generation of static electricity during the cleaning process. And just as with the reel type, the cloth in the cleaning part is made from special cleaning fiber. Useful for cleaning connector end face inserted into adaptors and housings. "Why do I need to clean and inspect the end face now?"